No food or drink on the booth sorry...just animation and animators. Animation Financing conversation: What's the Catch Whats the Difference? Panelists: Sally Griffith (Director of Cinema at Chapter (Cardiff) and BFI Film Hub Wales) and surprise guests from the production team of Chris The Swiss - in Official Selection at the Semaine De La Critique moderated by Laurie Gordon director of Animaze Montreal International Animation Festival. Anim18, a celebration of British Animation, will be presented at the 4th Animation Day in Cannes networking event on May 16th. Sally Griffith is the Director of Cinema at Chapter (Cardiff) and BFI Film Hub Wales. She is also leading on Anim18: A Celebration of British Animation which is taking place across the UK between April – November 2018 supported by the British Film Institute, Arts Council England and British Council. Anim18 (#Anim18, @Anim18UK) aims to celebrate the past, present and future of British Animation and involves collaboration with partners across exhibition, distribution and production. 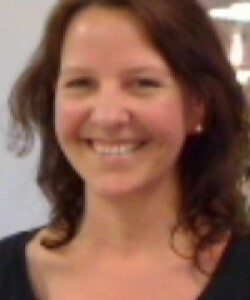 Sally joined Chapter (Cardiff) in 2009 and has worked in cultural cinema exhibition and film education for over 20 years. As the Director of BFI Film Hub for Wales she works to support independent exhibition venues across Wales and links to the UK wide BFI Film Audience Network. With Chapter (Cardiff) as the flagship venue in Wales with a year round dedication to world and independent cinema in all its guises, she is responsible for the programme and supporting festivals and a whole range of special events across the year, as well as Chapter’s Engagement & Learning strategy. A former Juror for Europa Cinemas at Cannes Director’s Fortnight, Sally previously led on Roald Dahl on Film as part of the 2016 centenary and was formerly Head of Film at Derby QUAD and Film Education at Metro Cinema.